National law firm Simpson Millar have a team of dedicated lawyers who specialise in holiday illness claims. If you suffered food poisoning on holiday in Menorca caused by bacteria, such as E. Coli, Salmonella and Campylobacter, or by the waterborne parasites, Cryptosporidium or Giardia Lamblia contact us today on Freephone: 0808 145 1353 for advice on claiming compensation from your tour operator. Suffered food poisoning in Menorca? Require the help of a holiday illness claims specialist? Salmonella, E. Coli or Campylobacter infection at a Menorcan hotel? 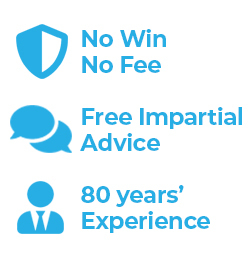 Instruct a 'No Win, No Fee' Holiday Lawyer and claim compensation! Smaller and more peaceful than its noisy neighbours, Majorca and Ibiza, Menorca is the second largest island of the Balearic Islands. This tranquil island has more beaches than Majorca and Ibiza combined, for those special and relaxing family holidays. But how do you claim compensation if things go wrong? At Simpson Millar we pursue compensation claims for ill holidaymakers on a 'No Win, No Fee' basis. If your holiday with Thomson, First Choice, Thomas Cook etc. was spoilt by illness, regulation 15 of the 1992 Package Travel Regulations provides a means by which compensation can be claimed in the UK against a tour operator for the negligence or failures of hoteliers in Menorca. Every year Simpson Millar successfully pursue claims for ill holidaymakers returning from one of First Choice’s Holiday Villages with Salmonella, E coli, Cryptosporidium or Campylobacter food poisoning! As the Holiday Village Menorca opens its doors for First Choice’s customers in May 2013 we question how many more victims of food poisoning we help this year claim the compensation they deserve? Holidaymakers who suffer food poisoning or sickness at the Holiday Village Menorca are invited to call us on 0808 145 1353. Menorca Holiday Illness News - Local Health and Safety Standards! Swimming pool regulations impose extremely high hygiene standards on hoteliers in the Balearic Island, including Menorca – absolutely no bacteria or parasites are permitted in the pool water. In February 2011, Thomson Holidays lost a landmark case in Birmingham, when the judge ruled in the claimants' favour, when they contracted cryptosporidiosis from a maintained pool. Thomson claimed, "We have been criticised for not meeting a standard that is impossible to meet!" Our specialist Menorca Holiday Illness Claims Lawyers monitor the following hotels listed below for illness, food poisoning or waterborne sickness outbreak including: E.coli; Campylobacter; Salmonella and cryptosporidium. E. Coli Fact: E. Coli 0157 may be found within the guts of cows and, like salmonella, it has the potential to contaminate red meat. The usual source of infection is from infected cooked meat products (including gravy). Campylobacter Fact: The symptoms of campylobacter include abdominal pain, diarrhoea, flu like symptoms for 24 hours and fevers have been reported. In addition to these symptoms, blood and mucus may be excreted in stools. Salmonella Fact: Holiday illnesses produced by the thousands of phages or species of the salmonella bacteria are collectively known as Salmonellosis. Cryptosporidium Fact: Waterborne spread is well recognised and has been associated with major outbreaks of cryptosporidium in the Balearic Islands. If you have suffered from any of the 4 illnesses listed above or any other gastric sickness and are seeking compensation for your nightmare holiday, contact Simpson Millar’s travel lawyers today for free initial holiday claims consultation. Our team of specialist holiday compensation specialists handle hundreds of holiday claims against tour operators pursuant to the 1992 Package Travel Regulations and Sales of Goods and Services Act 1982. We are happy to discuss representation on a no win no fee basis so why not contact us on 0808 145 1353 or complete the online claim form?